The Irish Insurance Federation (IIF) issued a press release last Wednesday 5th December saying that it broadly welcomed Minister Noonan’s announcement to limit incentives for retirement savings to €60,000 pension p.a. The Federation looks forward to participating in the consultation process around the implementation at a technical level. Over recent years there have been reductions in the level of pension tax reliefs generally, as well as the introduction of the pensions levy, and IIF’s preference would be that no further reductions would be made. However IIF acknowledges that Government must achieve further savings and that every sector must make a contribution. In this context IIF is of the view that the Minister’s proposal achieves fairness as between low, middle and high earners and the private and public sectors. The Minister’s statement today brings certainty to pensions funding generally which will help consumers in making key financial decisions about their future. We particularly welcome the Minister’s commitment that the pensions levy will not be extended beyond the current four year period. 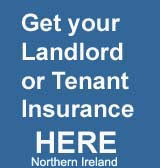 Source: The Irish Insurance Federation (IIF) which is the representative body for insurance companies in Ireland. This includes insurers serving both the domestic market and writing business in overseas markets from a base in Ireland. Their member companies employ over 14,000 people.